In reporting on incoming Lincoln Motor Company CEO Mark Fields, Bloomberg News let slip that former CEO Alan Mulally had considered scrapping the brand altogether amid stagnant sales. According to industry insiders, Fields convinced Mulally that Lincoln had a future in the Ford stable. 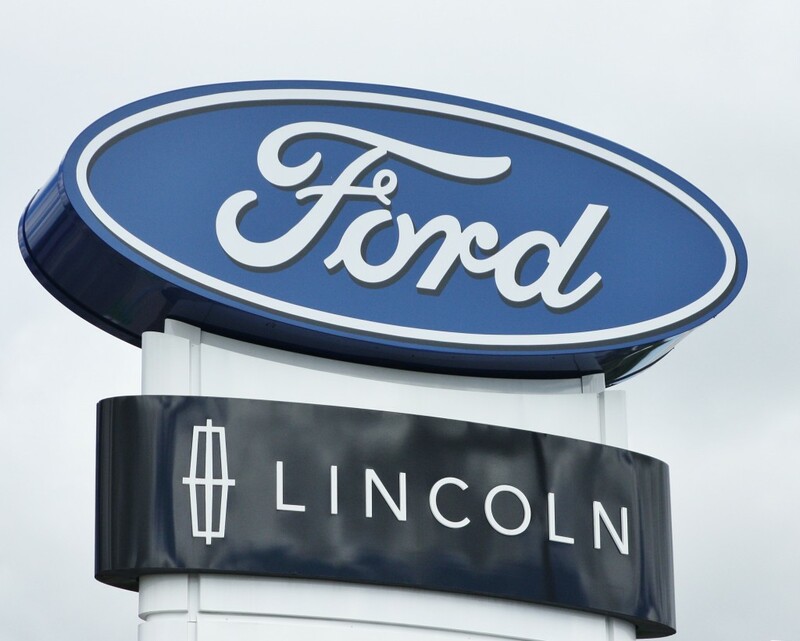 Seen by many as Lincoln’s saviour, Fields’ mandate will be to turn the tide of stagnant sales, which reached an all-time low last year – 65% below the peak of 1990. To do this, Fields must draw attention to the brand, lure in youthful buyers, and pursue new models and freshened design. 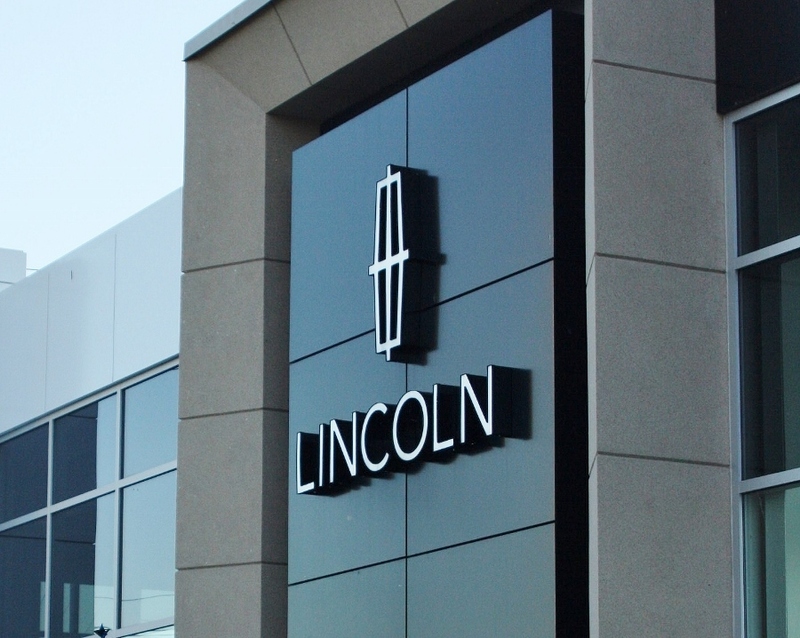 Lincoln’s overhaul has already begun; Bloomberg reported back in April that Ford had quietly replaced former design director Max Wolff (hired from GM in 2010) with David Woodhouse, a Ford veteran who previously oversaw the company’s European luxury divisions. 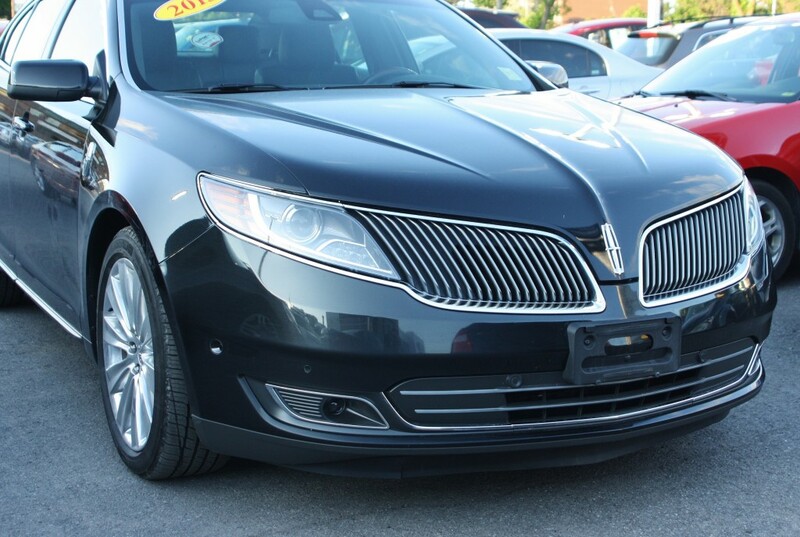 Hopefully, these changes will correct Lincoln’s aimless drift and herald a move away from the badge-engineering and awkward design that plagued the brand over the past several years. It’s hard to figure out how to respond to a sight like this. A sight, I might add, that didn’t get better the closer I got to it. Regardless of whether you love it or hate it, this driver clearly wasn’t going to be stopped from getting the most attention out of his retro-styled compact wagon. Chevrolet HHRs (or as all the kids call them, Heritage High Roofs) were sold between 2005 and 2011. Based on the Cobalt, the HHR was a fairly competent vehicle powered (mainly) by the durable 2.2 and 2.4-litre Ecotec engines, mated to a 4-speed automatic or 5-speed manual. A rare SS model came with a turbocharged 2.0-litre making 260 horsepower, which promised really fast trips to the grocery store. I have to think this would be something of a find for a certain niche of collector. 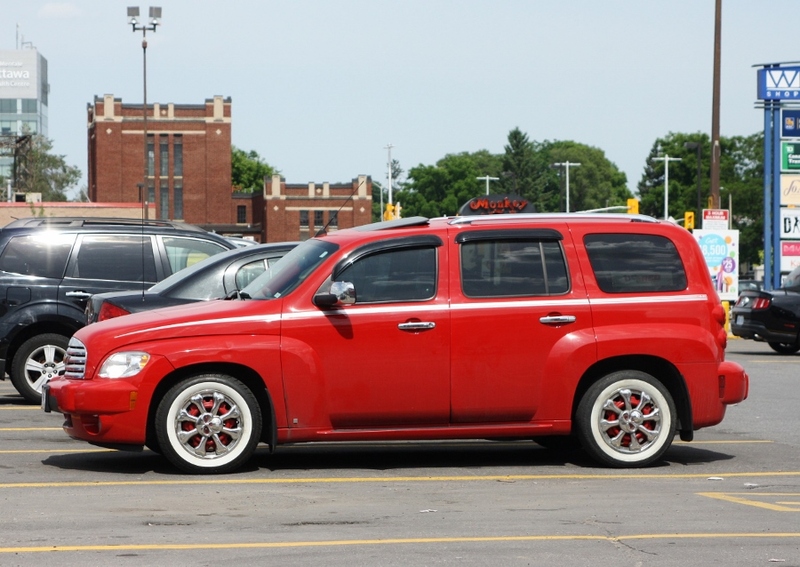 Overall, I’d argue the HHR pulled off the retro wagon look better than the oddly-shaped Chrysler PT Cruiser. THIS, however, doesn’t count as part of the package. With skull-and-crossbones faux chrome wheel covers atop painted steel rims, coupled with a do-it-yourself whitewall treatment, this HHR wasn’t busy hauling restraint or taste. The wide pinstripe is a nice addition, however. This entry was posted in Spotted in the wild on June 29, 2014 by Steph Willems. 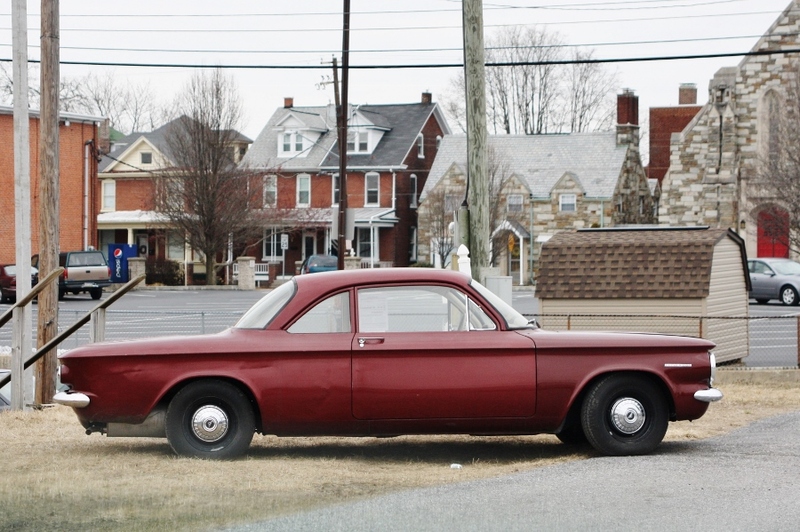 1963-64 Chevrolet Corvair Monza, spotted in Harrisburg, Pennsylvania. It was a typical late winter day in Pennsylvania – chilly, flat grey overcast, ice breaking up on the Susquehanna, and Tiny Dancer playing on the car radio. Everything around me conspired to put this driver into a wistful, reflective mood (the kind where you think about life choices). Thankfully, this funk was soon shaken off by the appearance of a controversial automotive classic – the loved, hated and sometimes feared Chevrolet Corvair. The late-first generation Monza coupe I stumbled across – the Corvair’s most popular body style by far – was a pretty plain-Jane affair, with blackwall tires and pie-plate hubcaps complementing its spartan exterior. Likely, this model came equipped with the base 2.4-litre flat-six engine, making 80 or 95 horsepower depending on whether it was a ’63 or ’64 model. The upgrade engine was a 2.7-litre, 110-horsepower flat-six, though signing off on a Spyder model would net you a 150-horsepower, turbocharged version of that same engine. In keeping with the car’s reputation as a rear-engined automotive oddity, the Corvair’s powerplants were air-cooled and had aluminum engine blocks. Touted as a ‘poor man’s Porsche’, the Corvair sold in large numbers following its 1960 launch and was available in a wide variety of body configurations – even a pickup and van was offered – but the car’s sporty, go-anywhere lustre was replaced by a sales-killing stigma in 1965. 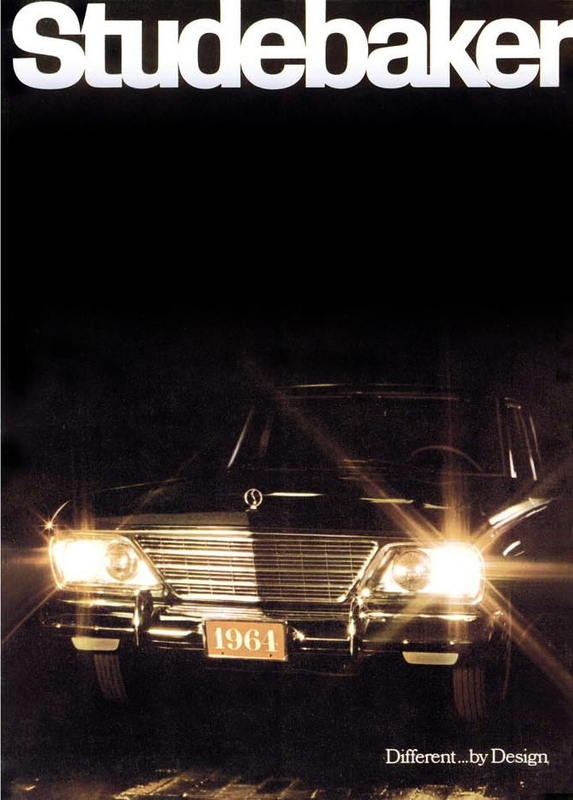 That year, lawyer and consumer activist (and later failed presidential candidate) Ralph Nader published Unsafe At Any Speed, a hard-hitting look at the American automotive industry that revealed an aversion to fixing known safety issues. 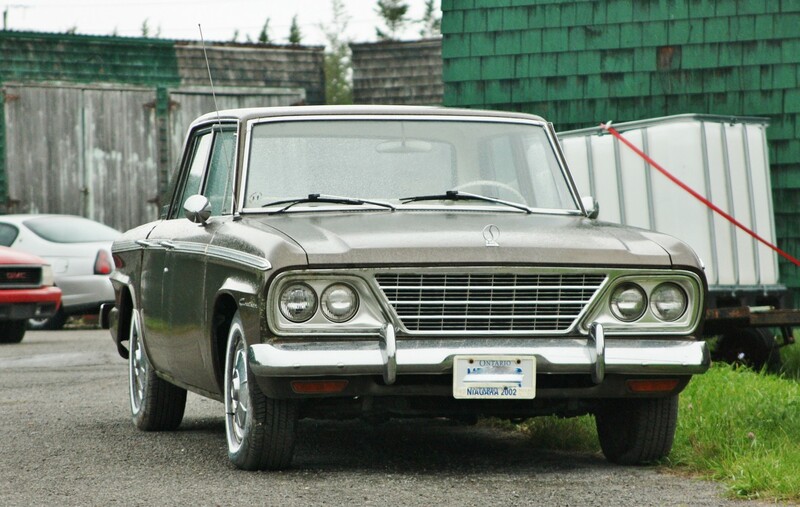 The Corvair, and the rear swing-axle suspension it used between 1960 to 1963 – was featured heavily in the book. Nader referred to the vehicle as a “one-car accident”, stating the suspension design, along with the omission of front anti-roll bars, made the car vulnerable to fatal rollovers. Though his assertion was sometimes disputed – even by scientific studies – the damage was done, and the Corvair’s reputation as a rolling death trap was created. Despite being redesigned in 1965 (and not containing the controversial suspension components), sales of the Corvair tanked following the release of the book. After a 50% sales drop for the 1966 model, and a 75% drop the year after, the Corvair withered on the vine until it was dropped from the Chevy lineup during the 1969 model year. 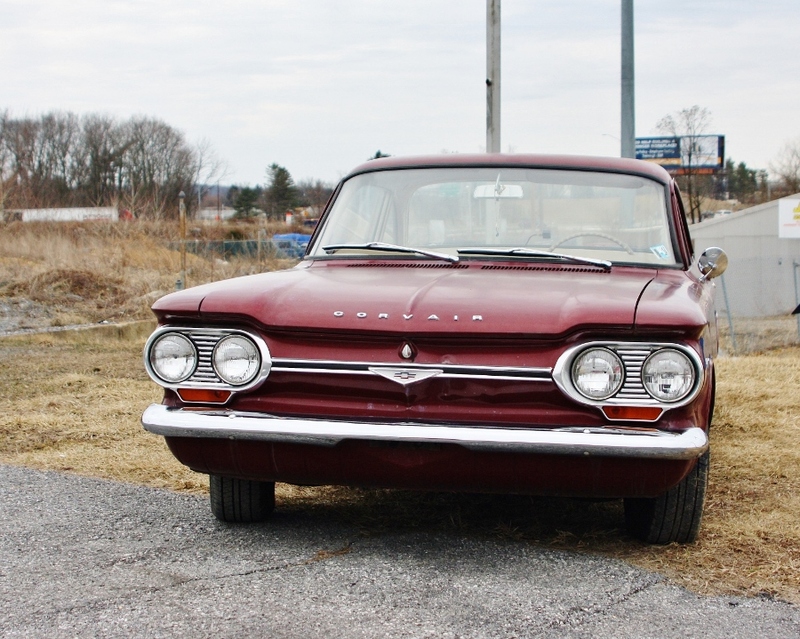 Going from industry darling to social pariah, the Corvair’s fall from grace served as a harbinger for the automotive scandals that cropped up in the 1970s – mainly, the fire-prone Ford Pinto and crappy-all-over Chevy Vega. This entry was posted in Spotted in the wild and tagged Chevrolet, Corvair, Ralph Nader on June 21, 2014 by Steph Willems. 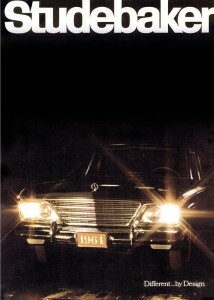 I was thinking lately – and not for any particular reason – about what would make a good getaway car. Or, alternatively, what would make a good undercover police pursuit vehicle. 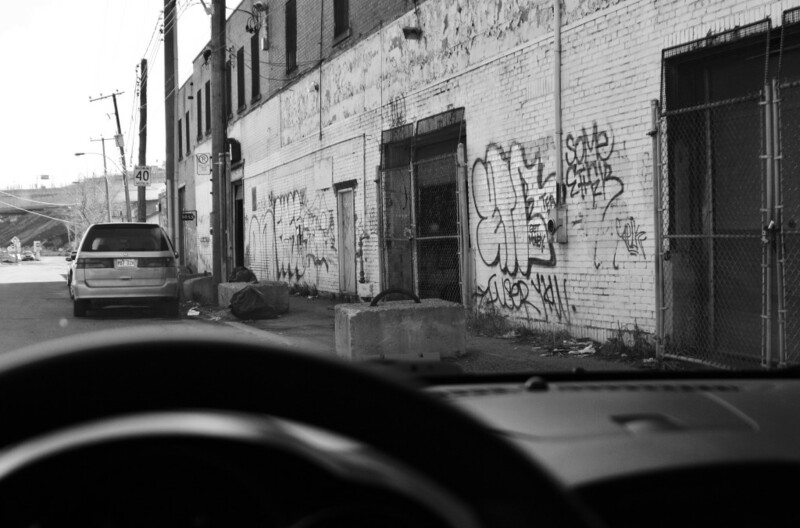 I’m not talking about the unmarked-yet-obvious Tauruses, Explorers and Chargers you see waiting in speed traps, either – I’m talking deeper cover than that. For a stakeout operation or a tail job, you don’t want Starsky and Hutch’s ride. At first glance, the list of automotive choices out there seems pretty much endless. However, to properly execute either role I believe a smart driver would demand certain attributes from his trusty steed. First off, anonymity. You want the car to be rolling camouflage, seen but not noticed by either cop or felon. Just part of the landscape. Non-descript is key, but as our mustachioed hero once stated in an episode of Magnum, P.I., you can go overboard on it and end up shouting your presence to the world. If I recall, the ‘loud’ shadow car in that episode was a beige Ford Fairmont. 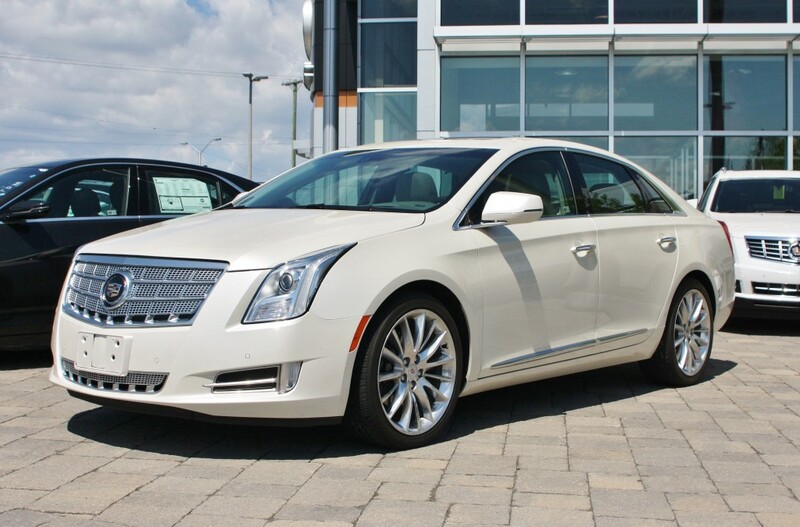 I’ve always said the best car for non-descript would be a 5 to 10-year-old GM sedan like a Grand Am or Malibu – ubiquitous, bland, and usually one of two colours. Most popular Japanese sedans have the problem of being either a heat score (Accord, Altima, Maxima), or simply too un-sketchy to fit in (Camry, Camry, Camry). However, going cookie-cutter isn’t the whole game plan. 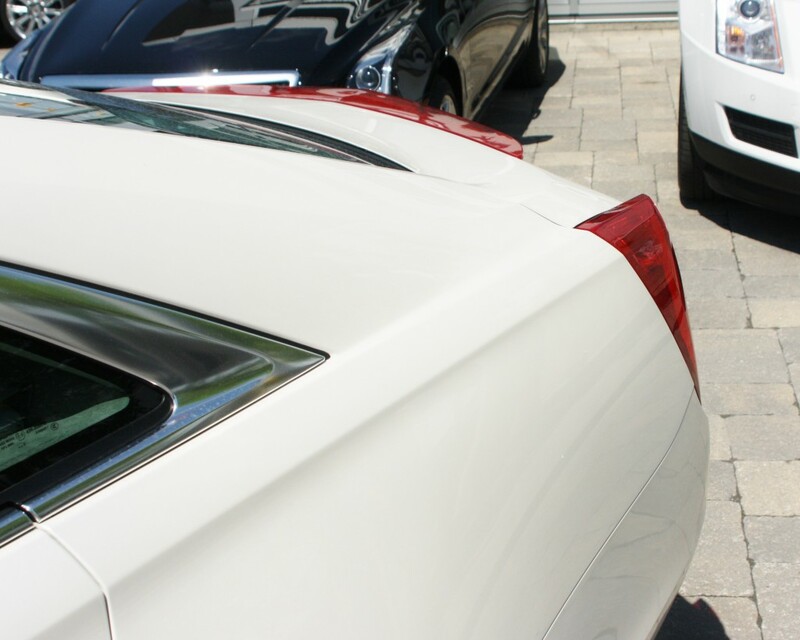 If your needs include more than just being incognito, these sensible sedans pose a problem. If a pursuit/chase will at some point be likely – whether it’s collaring bad guys or shaking the heat – you’ll need muscle and handling. Boring the other party to death isn’t an option here. And as important as power is, it needs to be subtle. Racing stripes, modifications and a aftermarket exhaust might be cool in heist flicks, but it’s a dead giveaway in the real world. The power needs to have been born on a factory assembly line. Also, the vehicle model itself can’t be synonymous with performance. You’ll want to have a top-end drivetrain in a car whose model lineup contains some real tepid stuff. There should be an engine lower down the totem pole than yours, with less cylinders. The setup I’ve described, a hot engine coupled with an aging, dime-a-dozen design and no exterior add-ons, should do the trick (though nothing’s foolproof, of course). Any suggestions, you ask? Any particular vehicular preference, after weighing the key criteria? After some careful thought, as well as observations on the road, I think I’ve narrowed down a decent choice. Yes, it’s the car that’s barely there. 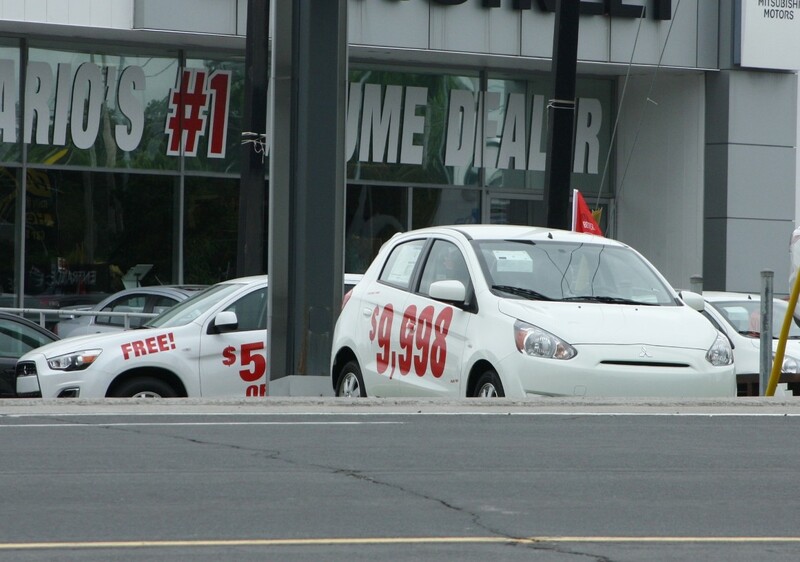 Chrysler was recently slinging these off their lots so fast, and at such discounted prices, you’d think they had been stolen. If there was a cheaper midsize car on the market, I didn’t notice it. There are many things that make this outgoing model a good candidate. First off, the 2011-2014 Avengers look an awful lot like the 2007-2010 Avengers that came before them. The mid-life cycle design refresh gave the bland car a slightly improved appearance, but at a distance, or in the dark, or to an untrained eye, they may as well be the same thing. The 2011 upgrades also endowed the Avenger with a decent shot of power, courtesy of the available 3.6-litre Pentastar V-6. This well-regarded unit serves as the base engine in hotter models like the Dodge Charger, Challenger, and Chrysler 300. The Pentastar’s 283 horses and 260-lb-ft of torque, delivered through a modern 6-speed automatic, provides big pull in a smaller, less-assuming package than its storied stablemates. Zero-to-60 (mph) times were listed at 6.3 seconds with this drivetrain, according to the manufacturer. No slouch, for sure. To put this into perspective, results from the Michigan State Police’s vehicle evaluation program in 2013 show the fastest police cruiser on the road – the Taurus-based and EcoBoost-equipped Ford Police Interceptor – ran up a 5.66 second 0-60 time. The Explorer-based Police Interceptor utility, equipped with the same turbo 3.5-litre, emerged with a 6.28 second 0-60 time. The non-turbo utility returned a 8.02 second figure. In the same tests, a V-8-powered Dodge Charger cruiser hit 60 mph in 6.04 seconds when equipped with optional all-wheel-drive. While I certainly don’t condone running from the cops (they have many ways of getting you), those high-performing vehicles’ numbers are very interesting when contrasted with the lowly Avenger. Besides the upgraded powertrain (at least in higher trim levels), the 2011-2014 Avenger saw fairly major suspension upgrades, which would help both cop and felon stay on the road while enjoying their car’s newfound power. Chrysler sold a good number of Avengers in the latter part of the model’s run, but it was never a vehicle anyone talked about. Lately, I’ve begun to notice them more and more – often outfitted with blacked-out rims that aren’t unattractive on this boxy vehicle. Frankly, in some cases, the Avenger looks a little bit badass, and isn’t that really just perfect for both criminal and cop? 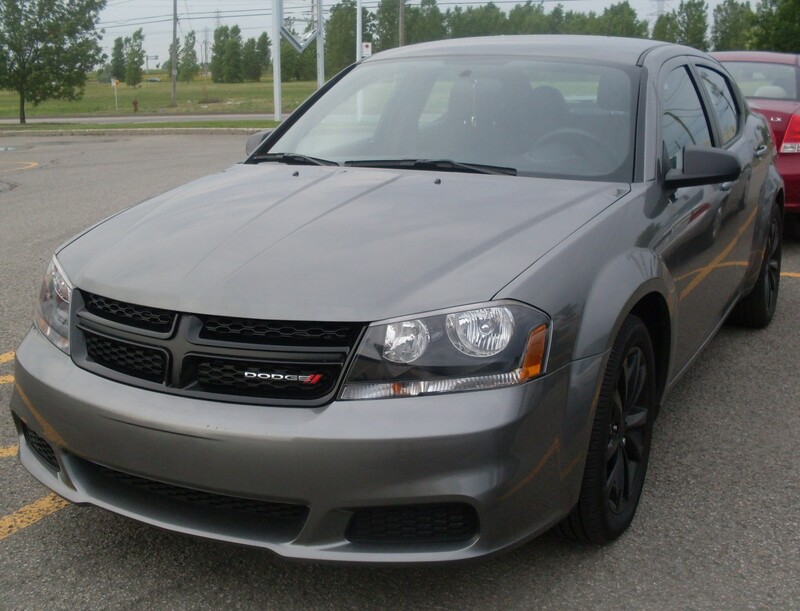 This entry was posted in Musings and tagged Chrysler, Dodge, Dodge Avenger on June 11, 2014 by Steph Willems.